You are here: Home / Disney Star And Celebrity News / Sabrina Carpenter Takes Over Radio Disney! 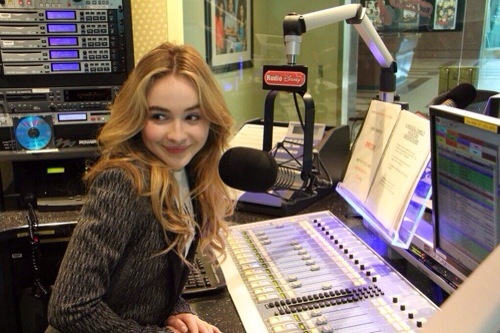 Sabrina Carpenter Takes Over Radio Disney! In honor of Radio Disney’s Takeover Thursday, Girl Meets World star and “Can’t Blame A Girl For Trying” singer took over the station tonight! Check out the photo above of her at the station! Anyone tune in? « Which Star is Super Healthy?